FamilyLife Australia is a Christian organisation with over 15 years experience running weekend marriage conferences and getting a message of hope out to couples. We’ve had over 5,000 Aussie couples come to our previous Weekend to Remember conferences and thousands listen to our daily national radio programs. Our new ‘Love that Lasts’ relationship getaway has been designed for today’s modern couple by a team of married, professional couples who have distilled what it takes to have a successful relationship and family. We believe that the best of family life can be found in long term secure relationships. It’s not as elusive as it seems. Committed relationships are the place where we really learn to love and grow. The FamilyLife team behind ‘Love that Lasts’ are committed to bringing a relevant message to you in ways that will positively change your relationship with your partner and your life. Married in 1981 and have 2 adult children. They live in Victoria where Rex likes to surf and where Suan Lee op shops and takes brisk walks. Rex and Suan Lee met and married at university in WA while studying Environmental Science. 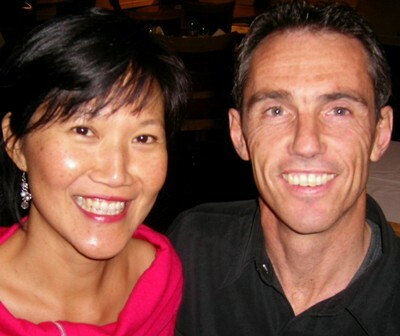 Rex has a Ph.D and worked in industry and Suan Lee is a skilled writer with qualifications in Christian Counselling (Wesley) and Adult Education. 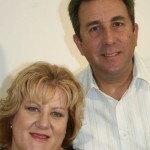 They founded FamilyLife in 1997, working with thousands of couples. Peter and Lynn Menhennitt were married in 1968 and have three grown up children and proud grandparents to 8 grand kids. Pete and Lynn went to High School together and met up again some years later at a church barbeque and we were married 8 months after their first date. Peter attended the Australian Institute of Management and has worked as a program manager, a private contractor and trained as a trainer at Boeing Aerospace Product Support in the USA. Lynn received a Certificate in Aged Care and has worked at several nursing homes. Graham and Gai Irvine were married in 1979 and with 1 adult and 2 teenage children are living in Perth, WA. Graham has a Master of Education and was the Principal of Regent College from 1993 to 2006. Gai has a Diploma of Teaching and has been teaching for 25 years. Graham left his education position to become a pastor. Gai is a primary school teacher for Year 2/3. Graham enjoys surfing anywhere and anytime and Gai spends time reading books on the beach and photographing her husband’s stylish technique on the waves.